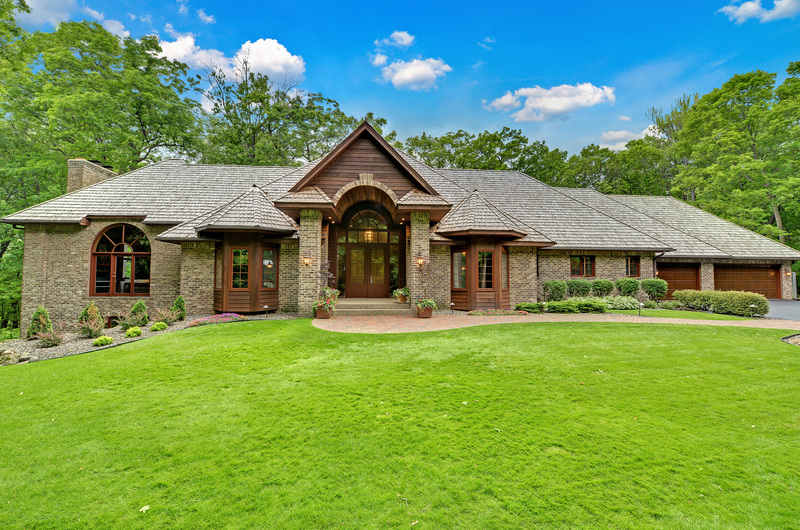 Recently updated custom brick and cedar residence, built by Jim Jensen, tucked away on almost 5 private wooded acres! Upon entering this home, you will notice a new travertine foyer, spacious gourmet kitchen, vaulted and beamed great room with clear cedar ceiling and main floor owner’s suite and new carpet and paint. The lower level features a family room with a wood burning fieldstone fireplace, large redwood paneled exercise room, three bedrooms and so much more! Enchanting perennial gardens, wildlife and views of 10th tee on Springhill golf course add to the ambiance of this property.